Let’s get real, I am a chocoholic, and every week is chocolate week. 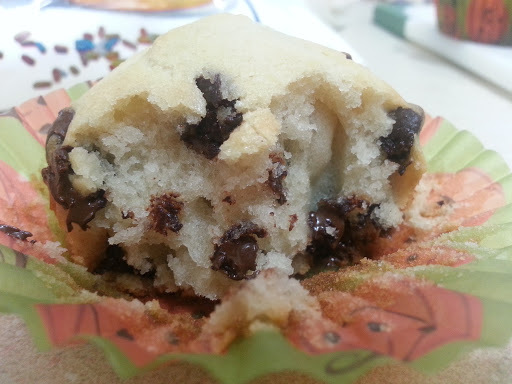 However, yesterday I simply had an idea for a delicious chocolate chip cupcake. 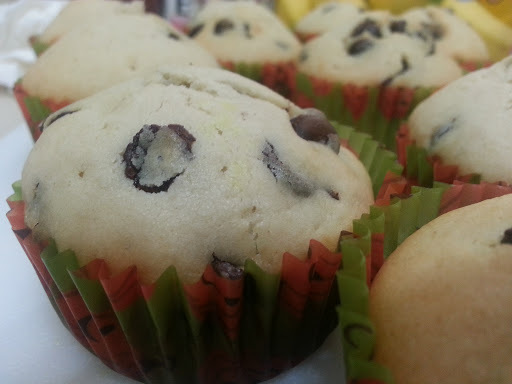 As quickly as the idea came to me, I jumped on my baking horse and galloped into the kitchen. Oh, and I was not disappointed. So what can I say about this recipe? To start with, these cupcakes are best eaten warm, not freshly out of the oven, not scalding, not hot, warm. You chocoholics know what I’m talking about. 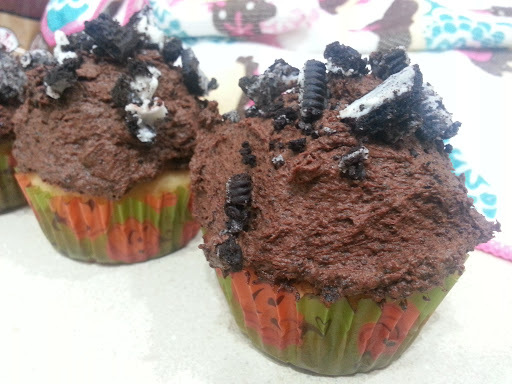 When warm, these cupcakes are not only lush but the chocolate morsels will burst in every bite. You can even have these for breakfast, dinner, lunch, or you know, even for a snack. 1. Ladies and gents, preheat your fire-wielding little oven to 375 degrees. You know that the first step in baking is always preheating your oven. 2. 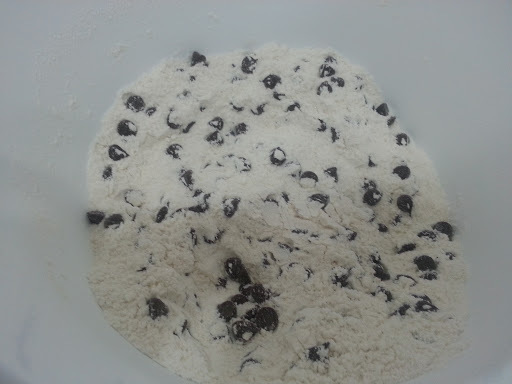 In a large bowl, combine your dry ingredients and the chocolate chips. Okay, so as I was gathering my materials, I realized that instead of just coating the chocolate chips with flour I would just throw them in with all of the dry ingredients! It saves you the hassle of using extra flour. 3. In a small mixing bowl, combine all your wet ingredients, vanilla, sour cream, egg, milk, and vegetable oil. It will definitely look a little funny but just mix until the egg is a part of the group. 5. If you’re like me, the tedious task of picking out a pretty little dress for your tasty friends is always the most difficult part. I went with a festive Halloween theme. 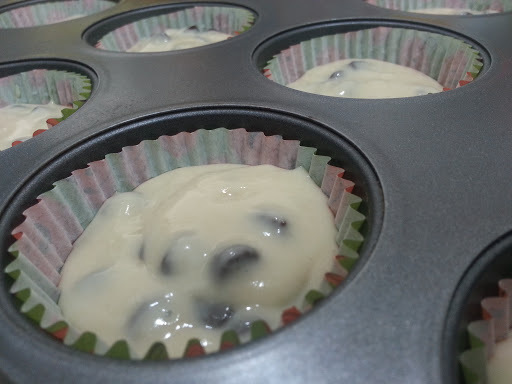 After, you have chosen your dresses and placed them into your cupcake pan, fill each cup about halfway full. 6. Bake your little friends until they reach the age of maturity, for about 20-25 minutes. Additionally, you can make custard or frosted toppings for your cupcakes. My inner hostess went all out and used my cream puff custard filling as frosting. 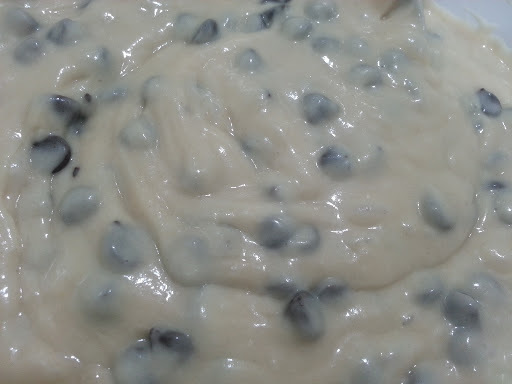 I also thought, in the spirit of Halloween and more chocolate, to take the same custard recipe but use chocolate pudding, instead of vanilla. I garnished the chocolate ones with some crushed up Oreo cookies and the vanilla ones with some chocolate chip morsels. 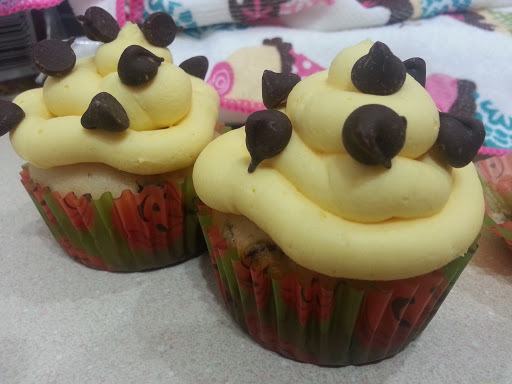 Easy to follow recipe, the cupcakes came out beautiful and delicious. Thanks for the recipe!! That’s great! I’m so happy to hear that everything came out perfectly. You’re very welcome.